Hello! Today I have a super quick swatch for you of Essie 'Pret-a-Surfer'. My Nan actually bought this for me a while back in TKMaxx, along with 'Suite Retreat'. I was late to the game with Essie, so I'm always happy when my collection grows that little bit. Read on for my swatch and more info! 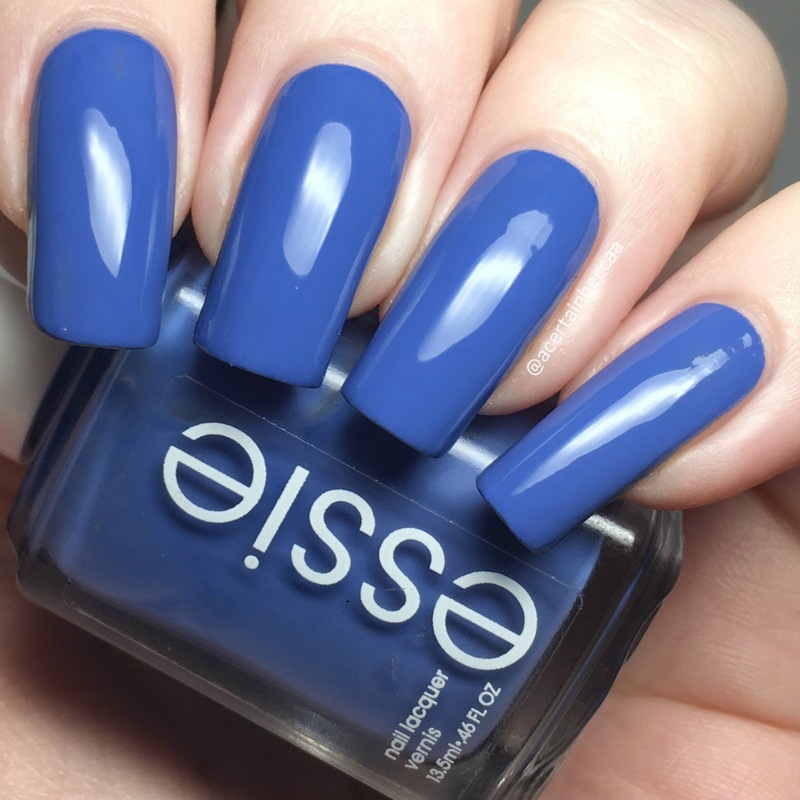 'Pret-a-Surfer' is a periwinkle creme, described by Essie as a 'marine blue'. The formula is super smooth and easy to apply, and is almost a one coater. I did need a quick second to even it out fully. Below is two coats with topcoat. What do you think? I love colours like this! It was initially from a Summer Collection, though I do think the pop of brightness is also perfect for the Spring - especially now we seem to have finally gotten rid of all of the snow! I am currently in the process of sorting through my entire polish collection and having a destash, and I've already found more Essie's I can't wait to share.